The last year and a half has been a very turbulent time in the life of Pride and UFC veteran Kevin Randleman. With his body ravaged by a severe lung infection, Randleman underwent eleven different surgeries, which took a huge toll on his body. As Randleman said on MMAWeekly Radio earlier this year, he has taken a significant amount of antibiotics and painkillers over the past year and a half, and when Randleman found out that some of those antibiotics and painkillers were banned by the Nevada State Athletic Commission, he provided fake urine in an NSAC drug test. Two days ago at a disciplinary hearing in front of the NSAC, Randleman admitted that what he did “was very wrong.” Randleman’s license as a fighter was revoked, and his future is now uncertain. Though Randleman survived his early 2006 brush with death, an infection in his lungs would later return. In the months before his October 2006 fight against Mauricio “Shogun” Rua on the Pride USA card, Randleman struggled with the effects of the infection, and he had one of his many surgeries just two months prior to the fight. By his own admission at his NSAC disciplinary hearing, Randleman was in no condition to perform. Nonetheless, he decided that he was going to fight on the Pride show, even in his poor health. On the day before the October 21st Pride event, Randleman says that he was given the Nevada State Athletic Commission’s list of banned substances, and panic quickly set in as he saw that some of the antibiotics and painkillers that he was regularly taking were on the banned substances list. Randleman had three choices at that point. He could have told the athletic commission about his medical condition, which would have caused the NSAC’s doctors to pull him from the event. He could have still fought and then submitted his own urine during the NSAC drug test, which would have caused him to test positive for banned substances. Finally, he could have still fought and then submitted fake urine during the drug test. Randleman ultimately decided that he was still going to fight, and that he was going to submit fake urine if he was one of the fighters who was drug tested by the NSAC. 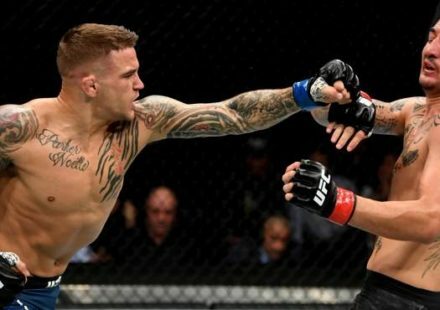 As it turned out, he was indeed one of the drug tested fighters, and he failed his post-fight drug test when the fake urine was detected in the lab. He would have to face a possible suspension or license revocation from the Nevada State Athletic Commission at a disciplinary hearing within a few months of his October 2006 fight. Randleman was in big trouble, but the trouble that he faced from a disciplinary standpoint still paled in comparison to the serious trouble that was continuing to plague him physically. As Randleman put it, “My body just shut down” in January 2007, as Randleman was hospitalized with severe kidney problems. Randleman’s wife, Elizabeth, told MMAWeekly that he did not suffer kidney failure, but she did state that if he had not gone to the emergency room on the night that he did, Randleman’s health would likely have deteriorated to include kidney failure. A measurement of 150 for CPK (creatine phosphokinase) is considered normal, and according to Elizabeth Randleman, Kevin’s CPK levels reached a measurement of 68,000. This means that Kevin’s muscles were shutting down, and if they hadn’t got it under control when they did, his kidneys and other organs would have started to shut down as well. How did this happen? 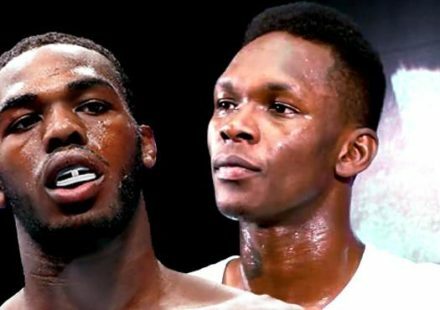 As reported at the time by MMAWeekly, much of the problem stemmed from complications following several surgeries and Randleman’s refusal to slow down and let his body fully recover before resuming his normal routine. This resulted in Randleman having to be on intravenous antibiotics for an extended period of time, which is very stressful on the body. Also, if antibiotics are taken for a long enough period of time, they eventually start to have the opposite effect of what is intended. More than a week after he arrived, Randleman was released from the hospital. According to Elizabeth, Kevin’s CPK level was 2,000 when he was released. That is a far cry from what it was when he entered the hospital, but it’s also a far cry from the normal measurement of 150. A few weeks after being released from the hospital, Randleman’s disciplinary hearing in front of the Nevada State Athletic Commission took place. At the hearing this past Friday, February 16th, the commission ultimately decided to revoke Randleman’s fighters’ license. 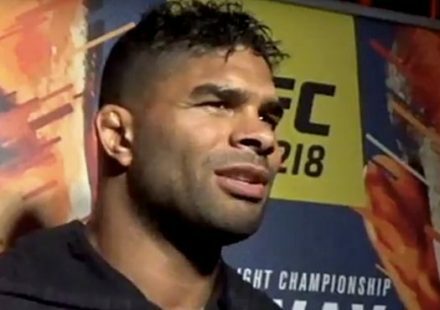 He will only be eligible to re-apply for a fighters’ license after October 21, 2007, and even then, it’s not a given that his application will be granted. 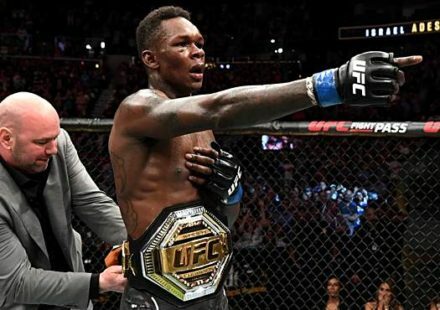 The commission was upset not only with the fake urine sample that Randleman submitted, but also with the fact that he did not disclose his very serious medical situation prior to his fight in Pride last October, putting his health in great jeopardy. Commission chairman Dr. Tony Alamo said at the hearing, “We need to protect you from yourself… if you had told the doctors about your medical condition, you would not have been cleared to fight.” Alamo also expressed concern that with Randleman could have potentially passed the infection along to his opponent, Mauricio “Shogun” Rua, if both of them had sustained open cuts during the fight, which is not an uncommon occurrence in MMA. Fortunately, neither fighter was cut during the fight. The Nevada State Athletic Commission will have a chance in the coming months to demonstrate just how serious they are about the issue of full medical disclosure. If they are truly serious about it, one would think that it would be mandatory for fighters to have more extensive pre-fight medical testing and examinations if those fighters have previously fought in Nevada with significant, non-disclosed injuries. Just a few examples in addition to Randleman: Chuck Liddell fighting with a torn knee ligament in December 2006, Sean Sherk fighting with a torn rotator cuff in October 2006, Jorge Gurgel fighting with a torn ACL in 2005 on The Ultimate Fighter 2, Rob MacDonald fighting with a torn labrum in 2005 on TUF 2, Ken Shamrock fighting with a torn rotator cuff in June 2004, and Ken Shamrock fighting with a torn knee ligament in November 2002. As the commissioners said several times during Kevin Randleman’s disciplinary hearing, the NSAC has a duty to protect fighters from themselves. In the case of Kevin Randleman, the NSAC ruled that when or if Randleman re-applies for a fighters’ license at any time after October 21, 2007, he will not be granted a fighters’ license unless he can provide conclusive medical evidence that he is completely healthy. For Kevin Randleman, this is not just a matter of his MMA career being at a crossroads; it is a matter of his life being at a crossroads. His medical issues have, on multiple occasions, led to brushes with organ failure that he admits could have killed him. He stated that he had a new outlook on life after his life-threatening medical issues in early 2006, only to make choices later that same year which put his health at great risk, specifically fighting in October even though he had a severe infection. Regardless of whether or not we have seen the last of Kevin Randleman as an MMA fighter, we should all hope for the best for Kevin Randleman as a person.